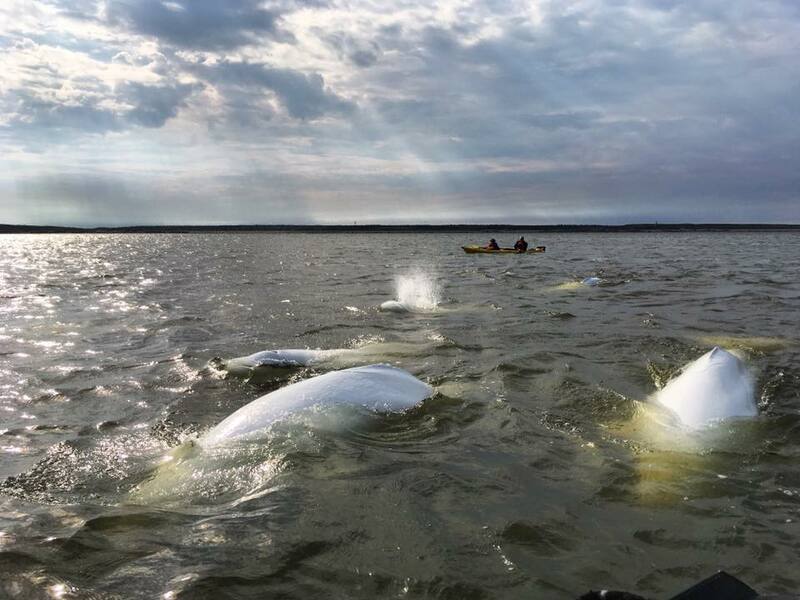 Let your adventuresome spirit take you out onto the Churchill River to meet beluga whales. 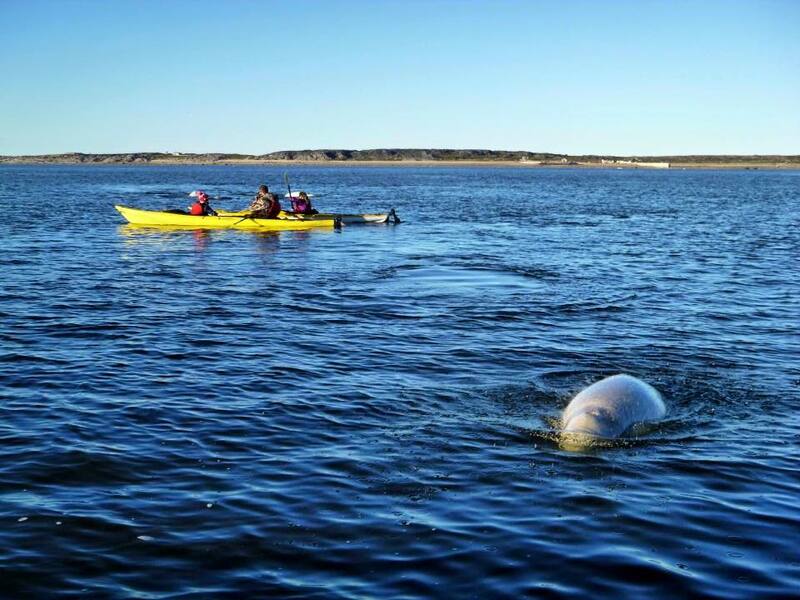 You’ll feel as if you are one of the pod as you skim across the surface of the river teeming with whales. 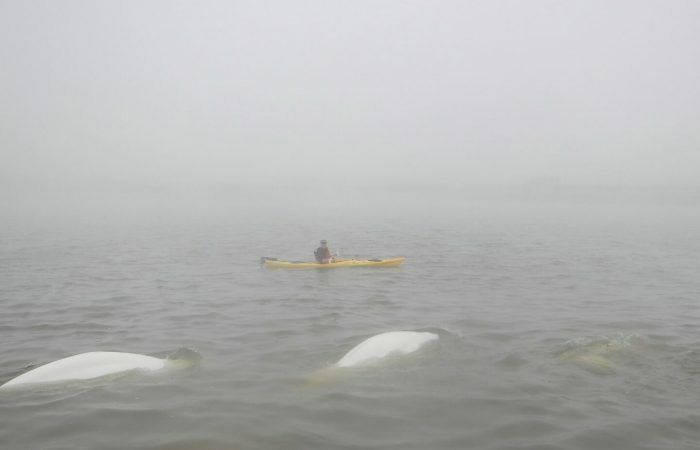 Perfect for the novice paddler. Please arrive 30 minutes before the posted tour time at our office location 153 Kelsey Blvd. 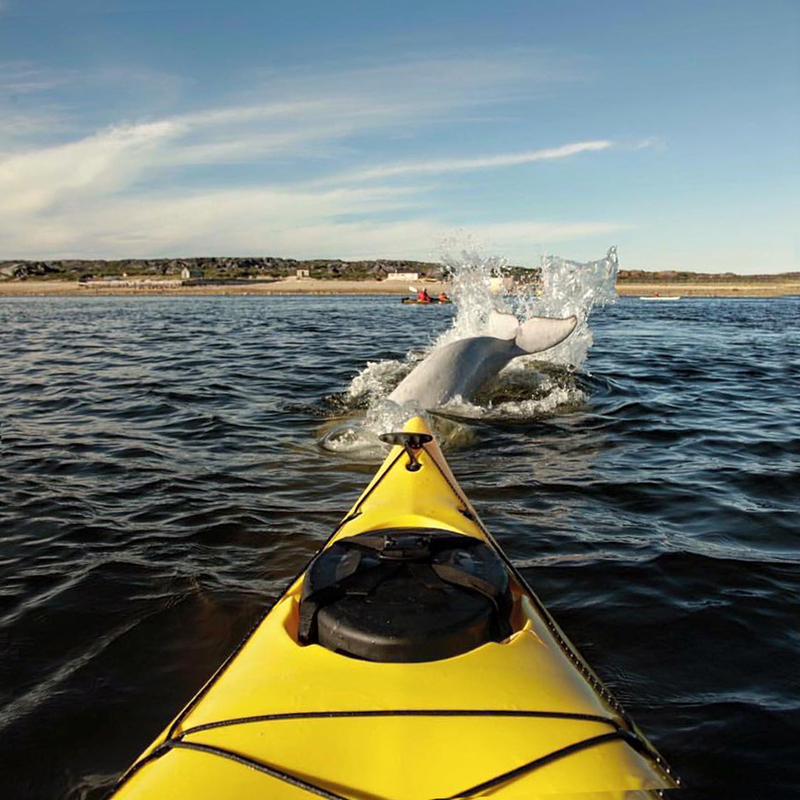 Our Necky brand kayaks are made in the US and are well-balanced and comfortable. We have single and 2-person tandem kayaks. 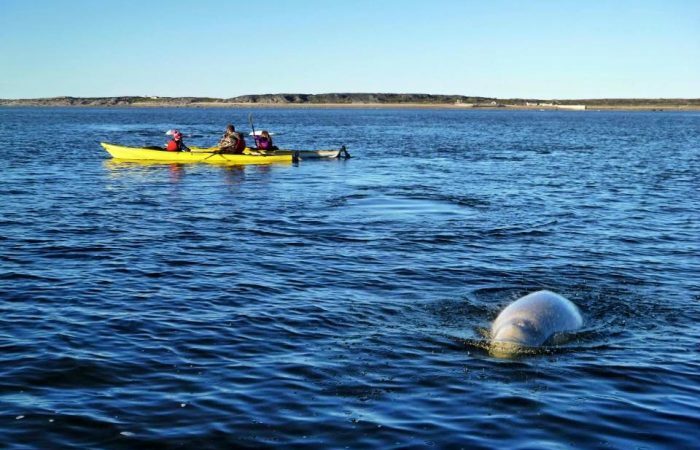 You needn’t have any worries out on the water, as you are there to enjoy the experience, we always have a safety zodiac accompanying the tour. 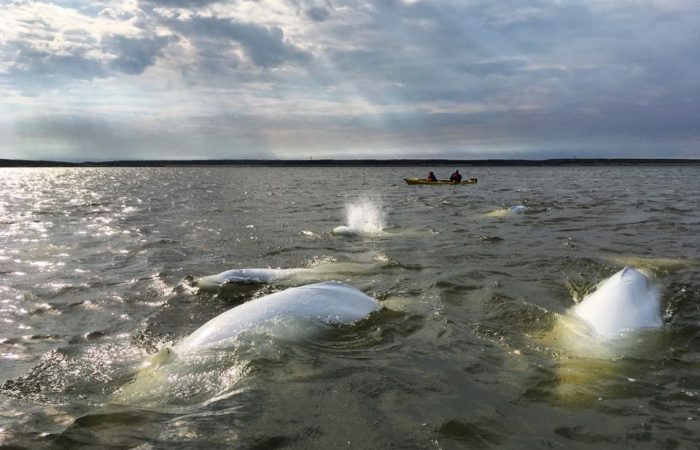 Your safety is our top priority so any kayak tours with more than 6 paddlers will have a guide accompany them on the water as well as the safety zodiac. As the number increases so do the guides and zodiacs, this is to ensure your safety and comfort should the weather change or you tire before reaching shore. You are required to wear our Canadian-made Salus Marine brand life jackets and we can provide you with waterproof outerwear. We recommend wearing comfortable clothing for easy movement. 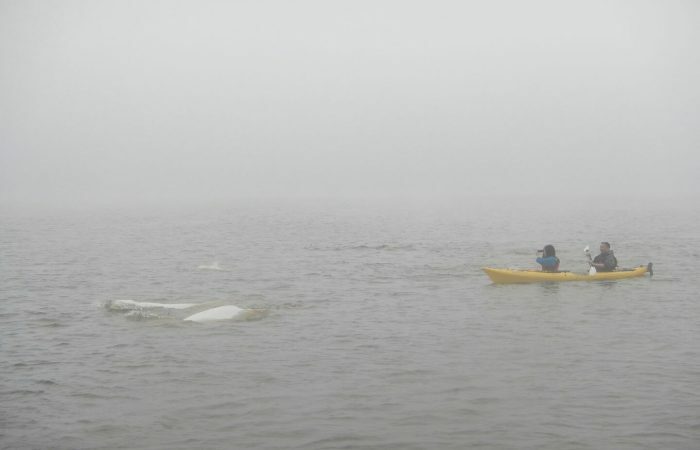 Our kayak tours require calm water conditions as our group member’s skill level will always vary. So this means our tour times are weather dependent and we always depart at low tide. 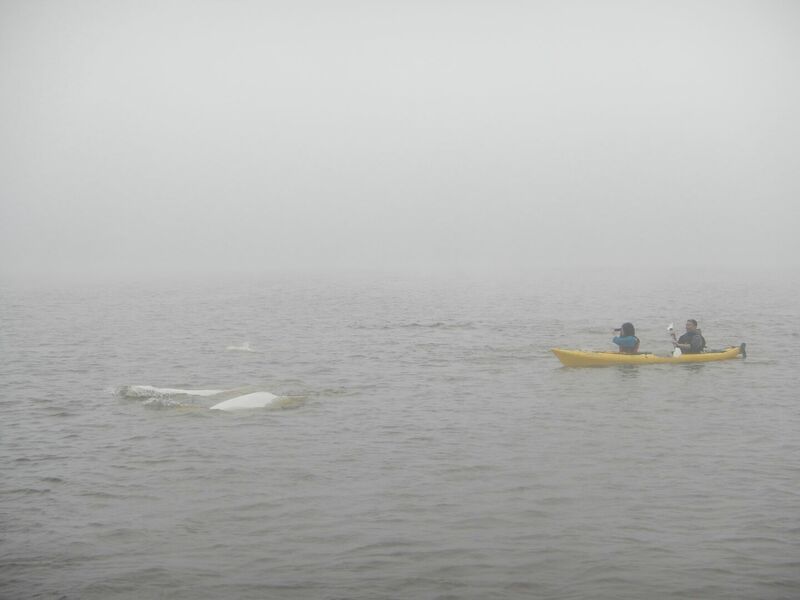 Each tour is approximately 2 hours on the water including the time returning to shore. 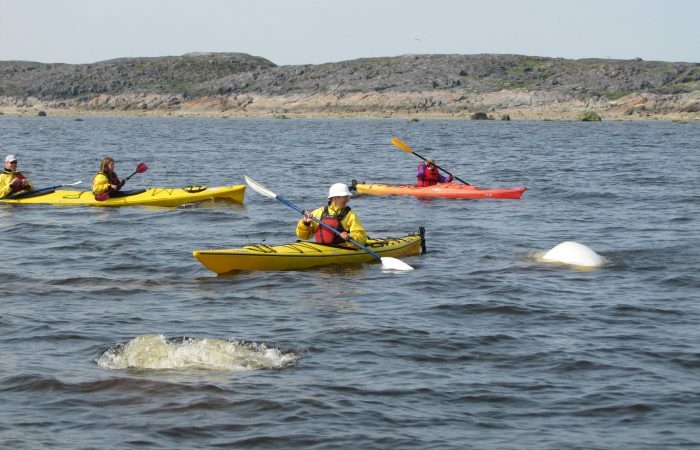 Sea North Tours Ltd. has single and tandem “sea” kayaks equipped with a rudder. The kayaks range from 13’ to 19’. 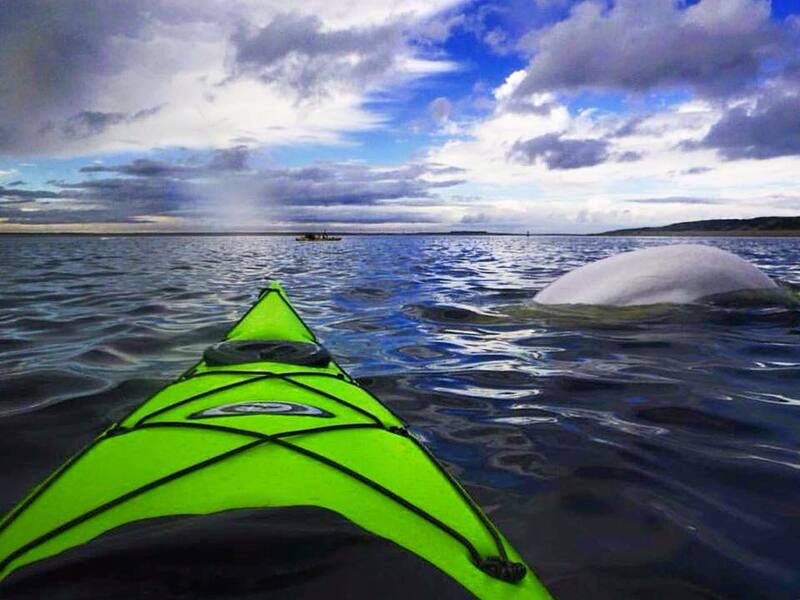 A sea kayak is essentially a type of touring kayak that’s made for the sea and thus ocean paddling. The hull is engineered to give it better stability in waves and currents. 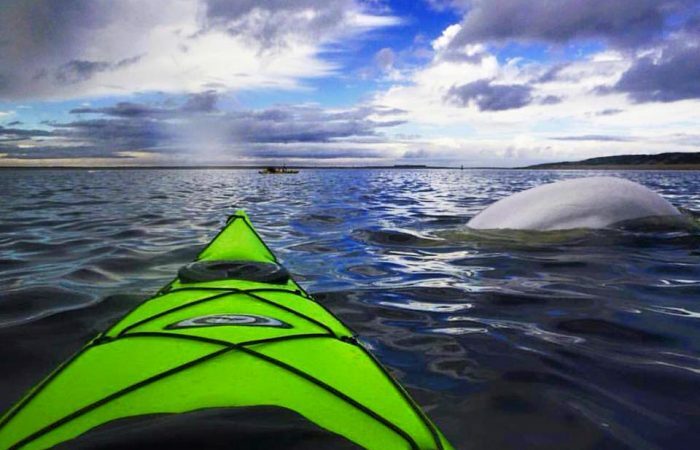 A sea kayak is long and narrow, giving it better hydrodynamics, which helps when you’re paddling. 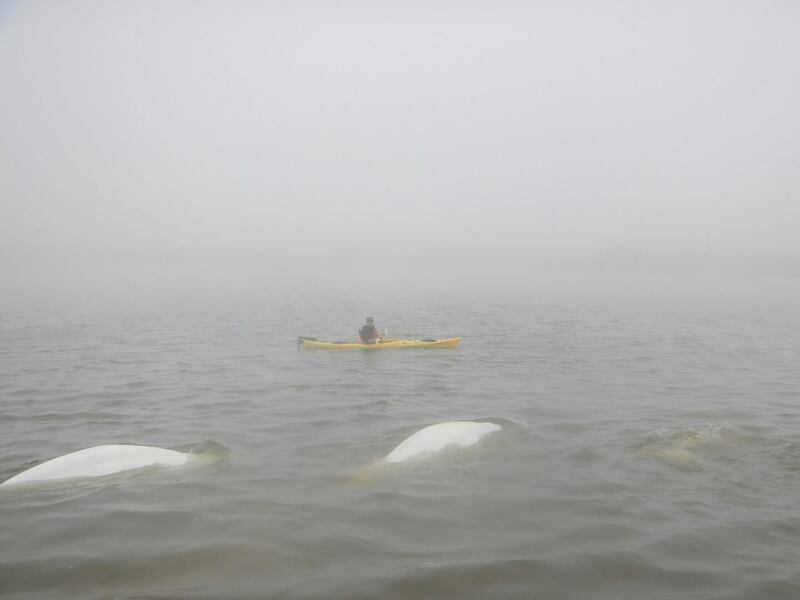 They are designed to sit lower in the water, which makes them more aerodynamic in breezier coastal weather conditions. 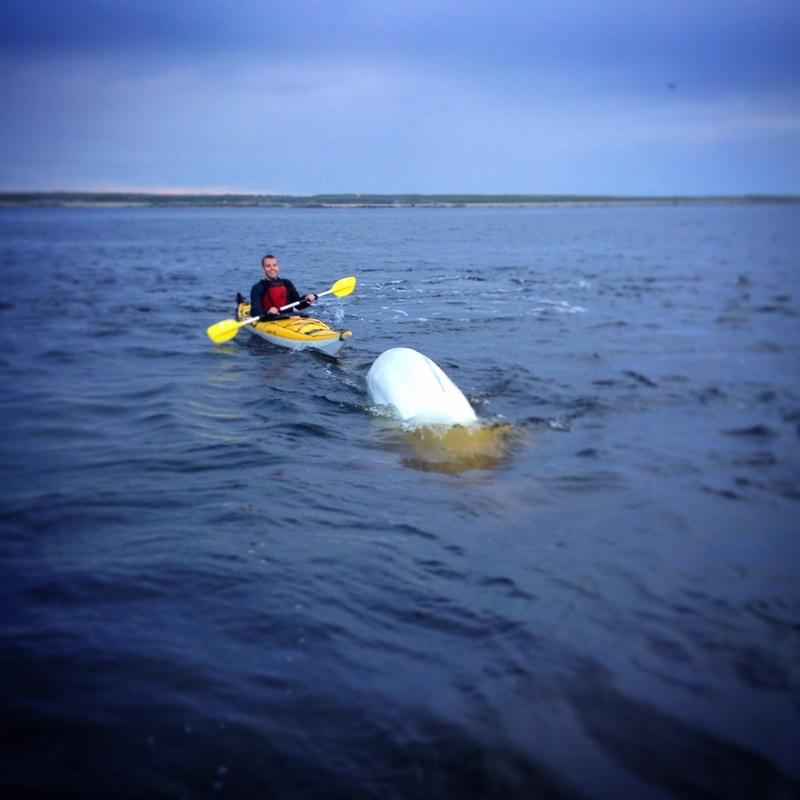 A sea kayak is a sit-in which means you can explore a greater range of environments, as you can paddle in colder and rougher conditions compared to the more limited warm weather environments available with a sit-on-top. The rudder is outfitted to the stern of the kayak, with cables that connect to foot pedals the paddler controls with their feet from inside the cockpit. The paddler can move the rudder side to side in the water. Rudders are good for controlling direction. 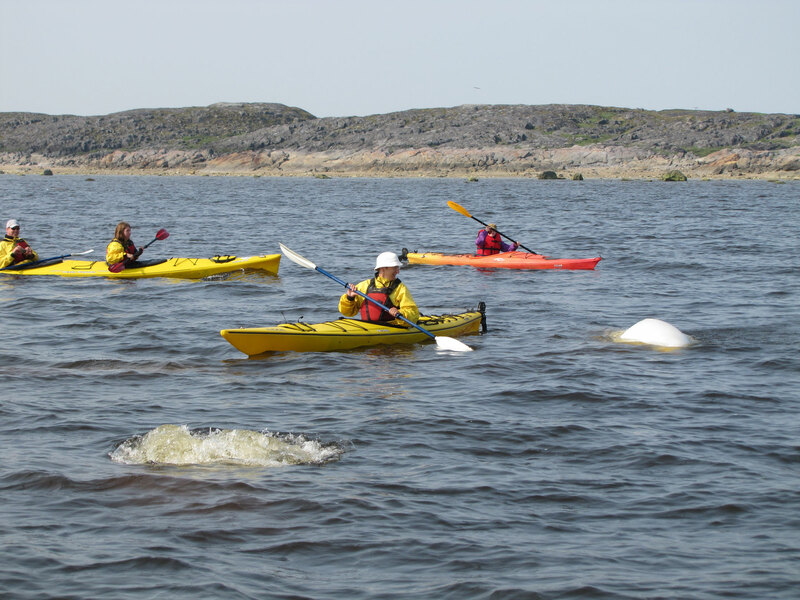 Our guides will provide an introductory kayak anatomy talk, on how to properly use the kayak and on safety procedures. A spray skirt is available for guests should they choose. 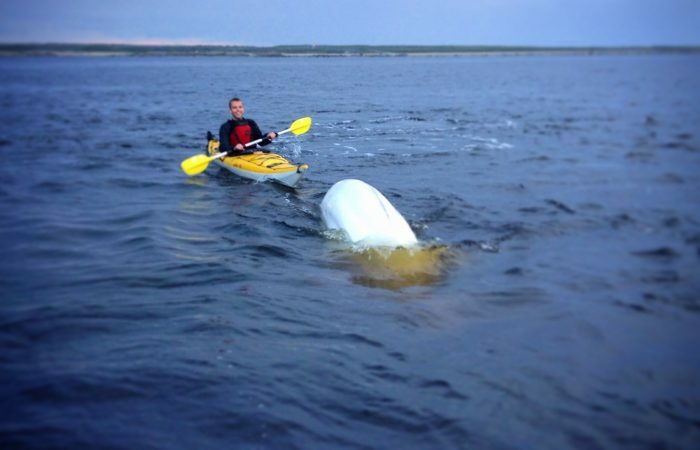 A Spray skirts for kayaks has the torso, the deck and the rand. 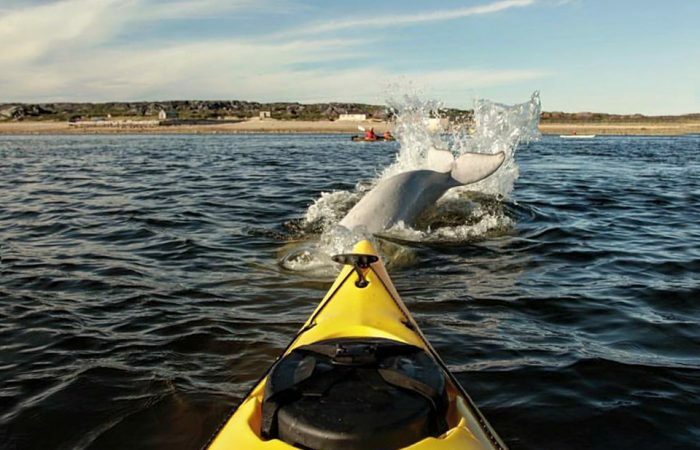 The torso or tunnel is worn around the paddler’s waist. The deck is the “skirt” portion that goes from the paddler’s torso to cover the boat’s cockpit. The rand, or the edge of the spray skirt, holds the deck taut over the cockpit. You can leave items in the cockpit under the spray skirt and we do suggest to bring a water bottle, waterproof case for camera and don’t forget to smile back to the friendly whales as they smile to you. View 2019 Tour Times with current status updates here.